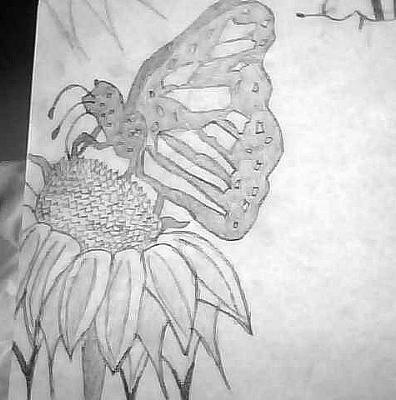 There isn't really much to tell, i just wanted to draw a picture of a butterfly on a flower, but this drawing i might be entering it in a contest at school, or i might do something a little different, it's not one of the best drawings but i still think it's pretty good. Heey yo mamma! good drawing!